First and goal at the five-yard line, down eight points in the fourth quarter. Seems like a perfect time for… a handoff to your 6’6″, 300-pound offensive tackle? Huh? This guy is an offensive machine and we hope Pittsburgh keeps using him in their offense the rest of the season. 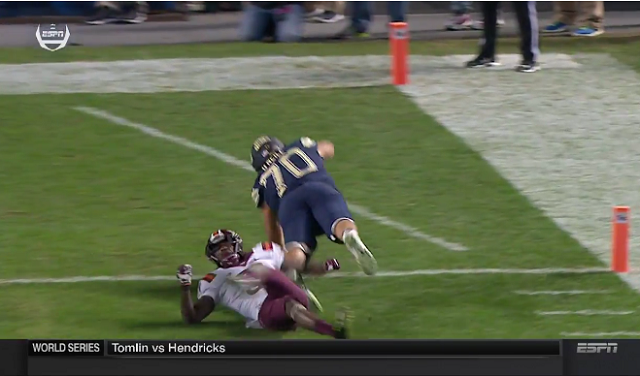 Unfortunately, O’Neill’s efforts weren’t enough, as Pitt fell 39-36 to Virginia Tech.